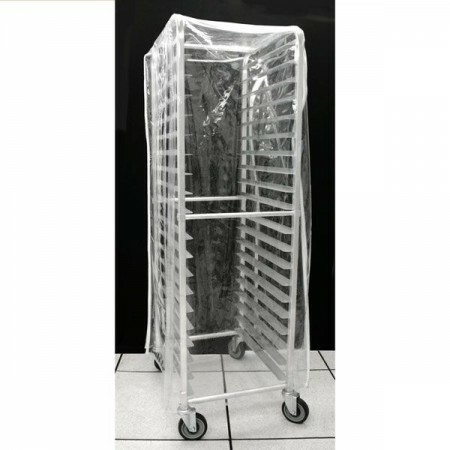 $103.42 Curtron Supro-20-TW Protecto Heavy Duty White Rack Cover 23" x 28" x 62"
The Thunder Group PLPRC020 20" Tier Pan Rack Cover is a restaurant, bakery and busy pizza shop necessity for keeping your baked goods sanitary and fresh during transport and storage. These clear, plastic rack covers are reusable and durable and the perfect accompaniment for your Thunder Group 20 Tier Pan Rack. Get this valuable restaurant supply today at our great low prices.